Hey everyone! I’m back here at TheAnimeScrolls with the latest news on Juni Taisen: Zodiac War. This manga was launched last year in September. The manga is currently being digitally published by Viz Media. Right now, the manga is in its third volume and it revealed recently that the 4th Volume of the Akira Akatsuki’s manga would be its last. As I said earlier that this manga is the adaptation of the light novel is known Juni Taisen: Zodiac Warriors, which is the work of Nisi Oisin, who has previously also worked on Monogatari series. The light novel is illustrated by Hikaru Nakamura. The manga launched a year ago on Shueisha’s Shone Jump+ app, as well as the website. We also got a television anime adaptation of the same, which premiered a month after the manga, in October. As expected, Crunchyroll streamed the subs for the series, while Funimation streamed the dubs. That’s all from this news on Juni Taisen: Zodiac War Manga and the announcement of its end. If you want to add some information we missed, add it in the comments section down below. Also, keep visiting TheAnimeScrolls for more information about Anime, TV shows, Manga and movies. What are your thoughts on Juni Taisen: Zodiac War Manga ? 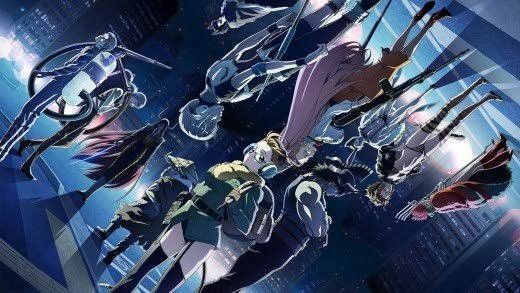 Tahir Khan is the writer of ” Juni Taisen: Zodiac War Manga End Announced “. Connect with him on Social Media.